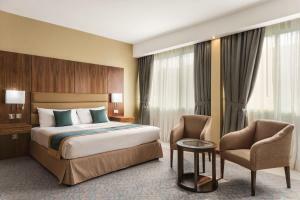 The Howard Johnson Diplomat Hotel is located in central Abu Dhabi, with views of the Corniche. 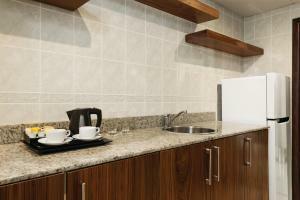 The hotel offers spacious rooms, free Wi-Fi and a choice of restaurants. Choose between the neatly appointed guest rooms and suites, each of which has a modern en suite bathroom and air conditioning. 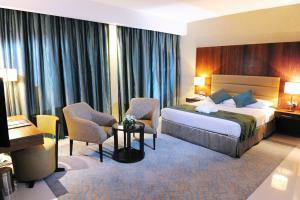 Facilities at the hotel include an international restaurant, a night club, bar and Arabian themed entertainment venue. The Howard Johnson Diplomat Hotel is within easy reach of the city’s top business centres and shopping malls. Abu Dhabi International Airport is a 30-minute drive away.